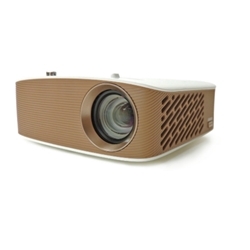 The NEW Flare150™ Art Projector from Artograph is the next generation of digital projectors replacing the popular Flare100, with enhanced brightness and greater resolution, still in a compact, portable size. The Flare150 is ideal for projecting photos and images for tracing, layout, and design of your artwork. For artwork of extremely small size up to large portrait size. Included are built-in grids in dozens of useful patterns for layout and design, available only with Artograph digital projectors. Flip, reverse, rotate, grayscale, adjust color temperature and tonal values of your image. The Flare150 can operate on rechargeable built-in battery (2.5 hours), or plugged in. HD 1280 x 720 resolution with 150 lumens of brightness.